Do you think there is something new we can you learn about B2B online marketing? 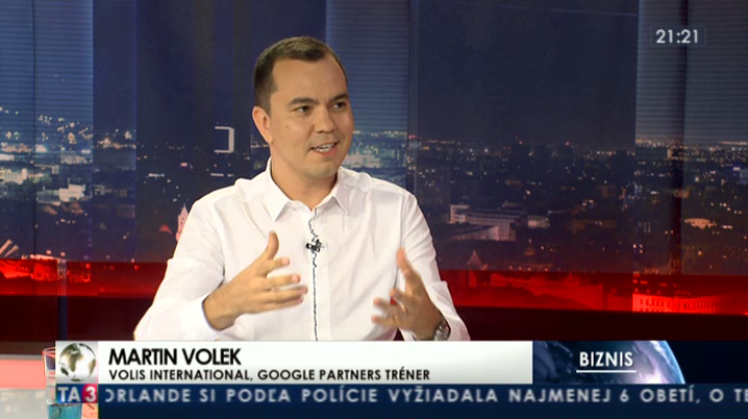 Last week, we brought you the first part of an interview in Biznis on TA3, where Martin Volek shared his tips and experiences with B2B digital marketing. Now read the other half of the interview about how to use social networks in the B2B business. When looking at B2B specifics in online marketing and also at formats, how do these work? For online marketing the website is the key. Whether it is for B2B or B2C. This means that the website must meet certain requirements. It must be trustworthy. This means that, for example, in B2B segment the website should also have certificates, references, associations memberships or product benefits. What is very important and at the same time underestimated is the speed of the website. At the last conference of the Trend Online Academy, we conducted a survey and found that up to 98% of websites are not fast enough. It sounds like a small thing, but the speed of the website, especially on mobile devices, increases the position of the website within the search engine. Google prefers sites that are faster. A one-second slowdown on the website means an 8.3% higher exit rate. At the same time, it also means a 2.1% lower purchase rate. But let’s move to the formats. In the B2B segment, blogs are particularly good as people look for them and create a relationship with a brand. Also, infographics, webinars, I have seen a lot of live broadcasts lately, especially by pharmaceutical companies. Last but not least, video content. Today, a company without a YouTube channel or YouTube strategy cannot work. It is good for remarketing, for example. If someone visits your website and leaves, you can play this video for them as an additional content and remind them of your company. Every company has a Facebook account today. However, you say the LinkedIn Professional Network is highly underestimated. Why? 2.5 million Slovaks are on Facebook. On the LinkedIn Professional Network, it is over 500,000. If you have a business meeting, where do you find the best information about the person you are meeting? On LinkedIn. Often, when I take part in an event, I do not exchange business cards, but I will connect through LinkedIn. Your profile on LinkedIn is your business card, and it is important to know this tool. Even in the search engine, if you enter your name or the name of the person you met to Google, in most cases, the first result for a name or company is LinkedIn. Google clearly gives LinkedIn a higher priority. Therefore, it is important to know how one is seen on LinkedIn. It is similar to websites; you visit the websites of two different travel agencies, one of which leaves a better impression, whilst the other less so. Therefore, one of them has the upper hand and that is probably where you do your business. This is also the case with B2B. If you meet someone, the first impression is important. I managed to turn my profile into an All Star Profile (LinkedIn metric). Gradually, if you fill in everything correctly, it gives you credibility. It is a social network where business relationships are established and contacts built. This means that other people can also evaluate whether you are an expert in the field. And when you see that someone is an expert, in graphic design and that people have rated their expertise, you trust it and do business with them. Companies should also have their LinkedIn profile. What do you think should be the focus of B2B online marketing, or what do you think will be its focus? In Slovakia, companies are investing increasingly more from the offline budget into the online budget because they see changes in behavior. Education is important. Slovak universities do not provide education in this area. Companies are constantly forced to acquire knowledge and, for example, thanks to the Digital Garage they can learn at least the basics about online marketing for free. It is also good to attend conferences, read blogs, and above all measure the data indicating where the demand comes from. In the B2B segment, it is important to get new potential clients. And to strengthen the budget and create a digital strategy for the channel providing more customers. Slovak companies should definitely have a defined digital strategy for the year ahead of them, detailing content, marketing, as well as an evaluation and media budget.